Each month we will be noting recent decisions in our area of practice. This month we note the decision of the Court of Protection Re HH (attorney’s application for retrospective approval)  EWCOP13 and SSHD v Skripal  EWCOP 6. This recent decision by the Court of Protection involved an application by HH’s attorney, TH, for retrospective approval of i) gifts of money paid from HH’s account to or for the benefit of TH of £88,366.77 and ii) gifts made on behalf of HH to TH, family members and carers in the sum of £17,218.56. HH was 95 at the time of the application and lived in a care home. He has two sons, the applicant TH and JH. In July 2006 HH made an enduring power of attorney (EPA) for property and affairs appointing TH and his niece SM as his attorneys. TH lives in Ireland. HH was diagnosed with Alzheimer’s disease in 2010. After suffering an infection, HH moved into a care home. After the death of his wife in May 2013, HH returned to his home. The EPA was registered in 2013. SM declined to act and so TH became HH’s sole attorney. In September 2014 Oxford County Council (OCC) assessed HH’s contribution to his care needs as £804 per week. TH decided that it was not affordable for HH to pay this sum, and so moved to England to become his father’s live-in carer. TH dismissed one carer, but retained another who came every morning and evening Monday to Friday. From August 2017, HH was assessed as entitled to fully-funded care and in October 2017 he moved back into a care home. HH has severe care needs because in addition to his dementia, he suffers from blindness, macular degeneration and dysphagia. The evidence of the social workers and medical experts was TH provided excellent care to his father and was committed to him. HH is the sole owner of his house, which is worth approximately £550,000 (subject to a charge in favour of his wife’s trustees), and his income is c.£45,000 per annum. At the request of the Office of the Public Guardian (OPG), HH made an application for retrospective approval of gifts made between 2011 and 2017. The Respondents were JH; OCC; the two executors and trustees of HH’s wife’s estate; and HH. OCC were initially joined to the proceedings because they were owed money in respect of HH’s care home fees, but this matter was resolved by the time of the hearing and OCC played no role in it. Her Honour Judge Vincent helpfully summarised the law on retrospective approval of payments. Pursuant to s. 3(2) of Schedule 4 of the Mental Capacity Act 2005 (MCA 2005), an attorney may only benefit persons other than the donor insofar as the donor may be expected to provide for that person’s needs. Whilst this may include making payments to family members for care, the attorney should always apply to court for approval where those payments place the attorney in a position of conflict with P.
Pursuant to s. 3(3) of Schedule 4 MCA 2005 an attorney under an EPA can only make gifts of a seasonal nature or at a time, or on an anniversary, of a birth, a marriage or the formation of a civil partnership, to persons (including himself) who are related to or connected with the donor provided that the value of each gift is not unreasonable having regard to all the circumstances and in particular the size of the donor’s estate. Her Honour Judge Vincent referred to Re Buckley  COPLR 35 and reiterated that ignorance is no excuse and that attorneys should be aware of the law. The Court has power to authorise payments made whilst P lacked capacity: see s. 16(2) of Schedule 16 MCA 2005 in respect of a registered EPA, and s. 16 and s. 18(1)(b) MCA 2005 in respect of an unregistered EPA. The Court may grant retrospective approval, as confirmed in Re GM  W.T.L.R. 835. The test for approval is of course the best interests test under s. 1(5) MCA 2005. Best interests is not synonymous with self-interest (Re G (TJ)  EWHC 3005 COP). Her Honour Judge Vincent referred to the OPG’s guidance on family care payments dated 31 August 2017. The guidance sets out the factors to be considered when deciding whether to make a care payment, including whether the care is required and of a good standard; whether the payments are affordable; and whether they represent a saving on the costs of professional care. It explains that where P’s estate is sufficient and a significant amount of professional care is provided, a care payment may be calculated in accordance with Re HC  EWCOP 29, in which Senior Judge Lush (as he then was) approved care payments at the cost of commercial care less 20%. However in relation to this case Her Honour Judge Vincent noted that she had no evidence to establish what the cost of commercial care would have been. For each of the six periods, TH claimed sums for payment to himself and for smaller payments to JH and his family, which (unsurprisingly) JH did not object to. 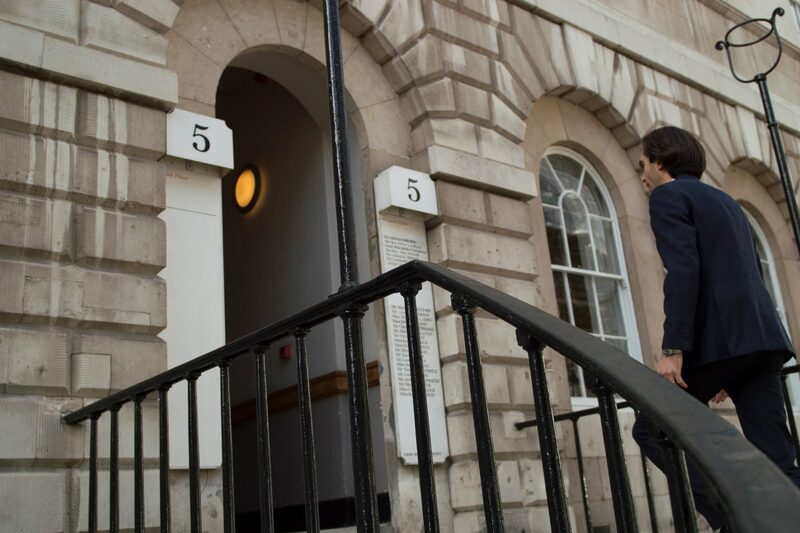 From February 2011 to December 2014, TH accepted that he used his father’s bank account as his own and used it to pay towards the running expenses of his family’s home in Ireland as and when the expenses arose. From December 2014 onwards, TH adopted a more formal approach, and paid himself a salary of £600 per week, although in addition he continued to use HH’s bank accounts to meet his own expenses as they arose. TH’s evidence was that payments towards his family home in Ireland were in lieu of a salary. However, Her Honour Judge Vincent was critical of TH’s “haphazard” approach, and she commented that TH, who was a watercolourist by trade, considered it a badge of honour that he was no good at managing money. She noted that the lack of accounts made her task incredibly difficult. In respect of periods 1 and 2, during which time HH was in a care home and EH was at home dying, the Court approved the sum of £15,000 (the sum claimed was c.£22,000) on the basis that HH would have wanted his family to be with his wife as she was dying. The Court also approved £14,896.05 to JH because he and his family travelled to see HH’s wife in her last months. During period 3, TH was not HH’s primary carer. Rather he claimed he was learning how to be a carer. Her Honour Judge Vincent accepted that some of the payments to TH were used to facilitate HH’s care and to pay for HH’s household expenses, and thereafter approved the sum of £3000 (the sum claimed was £6,766). As for period 4, TH sought approval for payment of £8,000 in respect of ten visits to his father at £800 per visit. The Court approved £5,000 of the payments, on the basis that she accepted that TH returned to England to provide respite care and to oversee arrangements relating to his father’s care, but did not consider that the extent of the payments sought were reasonable. In relation to period 5, the Court was satisfied that the sum claimed represented the cost of TH providing care to HH during the period, which she noted was of a good standard and cheaper than professional care. Therefore she approved the entire sum claimed of £47,320.29. Lastly, in relation to period 6 the Court held that TH could not have been caring for HH for the seventeen hours that he claimed because there was also a professional carer involved in HH”s care. Therefore the Court approved £2,500 of the £3643.80 claimed. The Court approved a total of £72,820.29 of payments to TH and his family, and £15,000 to JH and his family. The Court declined to approve authorisation to litigate against TH in respect of the sums that she had not authorised, on the basis this would be disproportionate and further depreciate HH’s funds. Instead she recommended that the unapproved sums should be accounted for from TH’s share of the residuary estate. As for costs, the Court ordered that the parties’ costs should be paid out of HH’s estate in accordance with the general rule on the basis that whilst TH had been in breach of some of his duties, his claim had been largely successful and that he had not acted in bad faith. At first blush, the decision is unusual because TH had committed a number of cardinal attorney sins, including making payments to himself and his family outside the scope of his authority and without obtaining prior approval of the Court of Protection; mixing his money and HH’s money; treating HH’s money as his own and failing to keep proper records. The Court found it difficult to assess the application because “apart from two sets of bank statements there are no accounts, no records, no schedules of payments from the time. TH prepared some invoices in respect of care he says he provided, which match some payments made from accounts, but they are little more than a justification for care provided after the event, they don’t tell me what hours of care were provided when”. It may seem initially surprising therefore that the Court retrospectively approved £72,820.29, which was 82@ of the sum claimed. However, there are two explanations for this. First, the Court found that both parents had been consistently very generous with their money to their sons and that the payments were in line with HH’s past wishes and feelings. Secondly, for a significant period of the time during which payments were made, TH had been HH’s primary carer and his care had been described as excellent by numerous social workers and medical professionals. Further, the Court accepted that the payments TH had made to himself, if viewed as a family care payment, represented a significant saving to HH. Therefore, although in the main TH had taken money from HH to discharge his family expenses as they arose, the Court was able to treat the payments as if they were family care payments and ratified them. Given the lack of accounts, it is easy to see how the Court could have reached a different conclusion if the care provided to TH was of a lower standard or he had worked fewer hours. It remains the case that it is always preferable for attorneys to seek prior approval of payments; to be familiar with and observe their duties and responsibilities; and to keep proper records. This decision of the Court of Protection relates to the infamous poisoning of Sergei and Yulia Skripal in Salisbury in March 2018. The main facts of this case are well-known. On 4 March 2018 Sergei Skripal, a former Russian spy, and his daughter Yulia were found seriously ill on a bench in Salisbury. It was later discovered they had been poisoned by a nerve agent Novichok. Mr Justice Williams granted the application, which is hardly surprising. Further, the facts of this case are out of the ordinary. Nonetheless, in reaching his conclusions Mr Justice Williams made some interesting observations about the best interests test, which may prove useful in a wide-range of cases with more a more typical factual matrix. Mr Justice Williams set out the relevant statutory framework to best interests, in particular s. 1(5) Mental Capacity Act 2005 (MCA 2005) and s. 4 MCA 2005. He noted that the courts have emphasised that best interests is a very broad concept, and referred to Re G (Education: Religious Upbringing)  EWCA Civ 123; Re A (A Child) 2016 EWCA 759; An NHS Trust v MB & Anor  EWHC 50 (Fam); Re G (TJ)  EWHC 3005 (COP); and Aintree University Hospitals NHS Foundation Trust v James  UKSC 67. Mr Justice Williams also referred to the Mental Capacity Act Code of Practice which provides at paragraph 55.47-8 that one of the factors to consider could “include the effect of the decision on other people, obligations to dependants or the duties of a responsible citizen”. Addressing s. 4(6) MCA 2005, Mr Justice Williams noted that there was no evidence of the Skripals’ past or present wishes and feelings in respect to a matter such as this; and no evidence of the beliefs or values they had. With regard to s. 4(7)(b) MCA 2005, it was neither practical nor appropriate to consult with the Skripals’ relatives. The Court also separately found that there may be some medical benefit to the tests, although the Court accepted that the chance of this was slight because Porton Down had already taken samples and tested them. Finally Mr Justice Williams held that there was very little on the other side of the ‘balance sheet’ to weigh against the application. The Skripals already had a cannula in situ and therefore it was likely to make little or no difference to them for additional modest blood samples to be taken. In the circumstances Mr Justice Williams found that the application was in the Skripals’ best interests. Given the lack of evidence surrounding the Skripals’ past wishes and feelings and their beliefs and values, the Court had no choice but to address the case on the basis of what a reasonable person would have done. Mr Justice Williams noted that he had no reason to suppose that the Skripals were not reasonable people, although some might query whether a spy, let alone a double agent, would necessarily be committed to justice and the rule of law. The decision is also notable because it is heavily permeated by substituted judgment. Substituted judgment is no longer the relevant test, although it may form some part of the best interests decision (and in this case, a large part). This decision may be of some use to practitioners, for example in a statutory will/settlement case where P has never had capacity. It may be possible to argue that in the absence of any other evidence, P should be considered to have the values of a reasonable citizen, and therefore for example would want to support the family/partner/charity who has supported him during his lifetime.